Download the free fir texture background for winter time and especially for Christmas. Beautiful ripe wheat field just before harvest time. Free high-res background. Christmas house PNG image that you can download for free. Create a winter holiday house snow scene with this free PNG cutout image. This is a cute little house with Christmas decorations. This winter time house ornament has Christmas trees, Christmas wreaths on the windows, red bows, gift boxes and a lot of snow. You can use this house PNG image in Photoshop to create winter time photo manipulations. Santa Claus PNG ornament that you can download for free. If you are looking for Christmas PNG images check out this cute Santa Claus figurine. The Christmas figurine has a fluffy white beard and on its head a santa red hat with glitter stars. You can use this free X-mas ornament in Photoshop manipulations for Christmas time. Also you can use it in any other graphic design project that you have for this magical time of year. Download this useful falling snow background and use it as snow texture overlay in Photoshop. Set the blend mode to Screen and create winter time photos. Cosmic shockwave explosion background that you can use in photo manipulations or any other digital art project. This is a blue explosion blast texture overlay that you can add in Photoshop over your photos. Simply set the blend mode to Screen and you have a shockwave explosion effect in just a few seconds. Make a Photoshop explosion background in no time with this free overlay texture. Winter flying island PNG image that you can download for free. This is a rock mountain island with snow surface and snowing effect. The PNG island has transparent background so you can use it in your Photoshop manipulations. 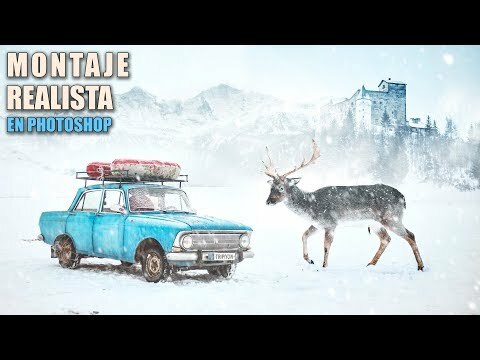 Create winter time photo manipulations using this floating island PNG image. Also great if you want to create Christmas artworks, greeting cards. This winter snow island is so easy and fun to use. Crack grunge texture PNG image that you can download for free. If you want to create a grungy old surface you can use this transparent PNG image. Add the PNG cracked image over your texture and you obtain a realistic effect in no time. This grunge texture PNG overlay works best for concrete and cement walls. But it can also be used for aging paper textures for example. Tree trunk PNG image that you can download for free. This is a dead tree PNG image with peeled tree bark and cut tree trunk texture.You can use this tree cutout PNG image in your Photoshop manipulation. Also you can use the dead tree image clipart in other graphic design projects that you have. Cutout objects with transparent background are very useful design resources for graphic designers. The PNG images are easy to use in your projects and they save you a lot of time. Christmas ornament PNG image that you can download for free. This is a Christmas decoration with transparent background that you can use in your designs. This X-mas ornament has a Santa Claus figurine, a gift box, poinsettia flower, Christmas fir branches, tinsel and other decor elements. You can use this beautiful Christmas PNG image to create beautiful winter time Photoshop manipulations or in other graphic design projects. Pink and red roses PNG image that you can download for free. If you need a beautiful rose PNG for your projects, you can use this flowers for free. The background of this image was removed in Photoshop. PNG isolated objects are much easier to use in Photoshop manipulations; you don't have to waste time removing the background. Flowers and floral images are useful resources for professional graphic designers and for amateurs too. If you create scrapbooks or other graphic projects, flower PNG images and floral backgrounds are very useful. Christmas tree ornament PNG image that you can download for free. This is a high resolution cutout image with transparent background; You can use this Christmas tree PNG object in Photoshop to create winter time photo manipulations. You can easily change the color of the Christmas tree in Photoshop using a Hue/Saturation adjustment, to make it green for example. PNG image of an arch made of cardboard paper. Download for free this paper object PNG image with transparent background. You can use the paper arch in Photoshop manipulations or in other graphic design projects that you have. We have lots of other cutout images in PNG format if you want to take a quick look. PNG images with the background removed are really useful resources for graphic designers. You save a lot of time using cutout images.